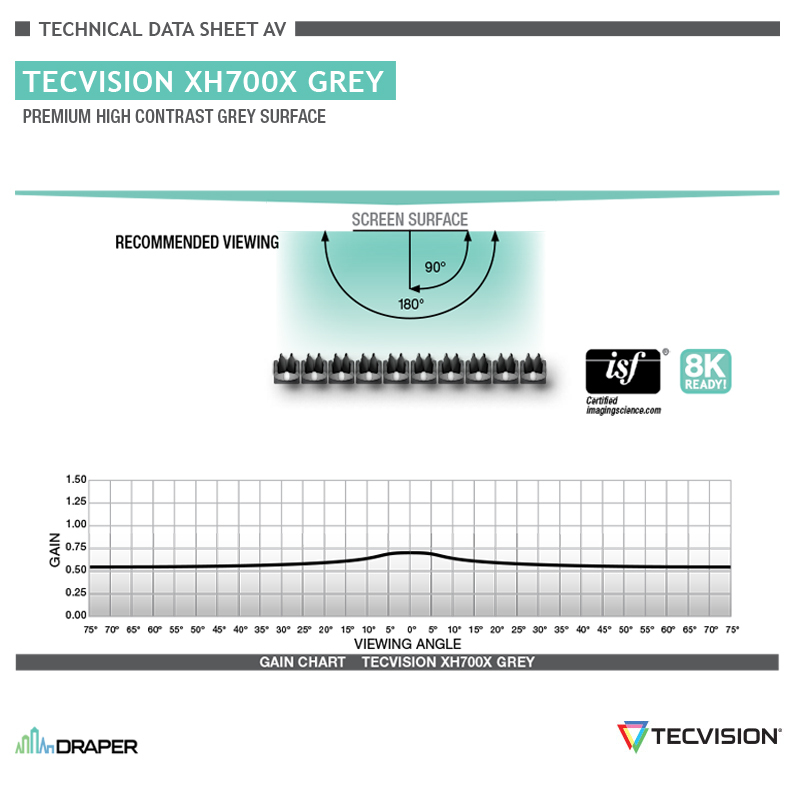 TecVision XH700X Grey :: Draper, Inc.
Where optimal brightness uniformity is needed, TecVision® XH700X Grey features a 0.7 gain premium matt grey surface formulated for high contrast in moderate ambient light and wide viewing angles. 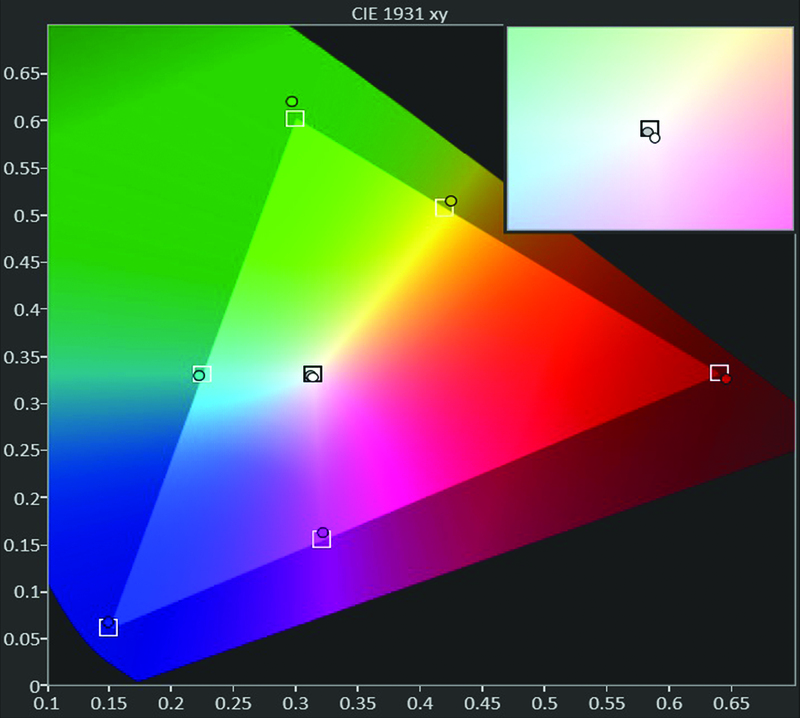 The choice for edge blending, control rooms, and Ultra-Short Throw (UST) projection, TecVision® XH700X Grey’s viewing surface is ISF™ certified for color accuracy and 8K ready to ensure optimal image performance at the highest resolution. This premium matt surface can be used at any throw distance. Available in tensioned electric and fixed-frame screens in sizes up to 23’ x 69’ (701 cm x 2,103 cm). Also available in NanoPerf up to a 102” (259 cm) image height. Lens/throw distance ratio for best brightness uniformity: no minimum. 0° Gain: 0.70. Recommended viewing cone: 180°. Each surface has a name that includes the characteristics it has. The following shows an example with definitions and examples of each area listed below. T: Typical. Surfaces with "typical" contrast are white in color and are generally recommended for use where ambient light is controlled. H: High. Surfaces with "high" contrast usually have a grey surface or substrate. Their black retention is enhanced and they perform well under reasonable levels of ambient light. S: Superior. This designation is reserved for surfaces with remarkable contrast and resistance to ambient light. Our "superior" surfaces will meet or exceed the contrast offered by any competitive viewing surface. The numeric portion of the name is its typical peak gain x 1000. Gain levels of surfaces cover the full range from 0.6 to 3.2, and minor variations may occur between the samples. 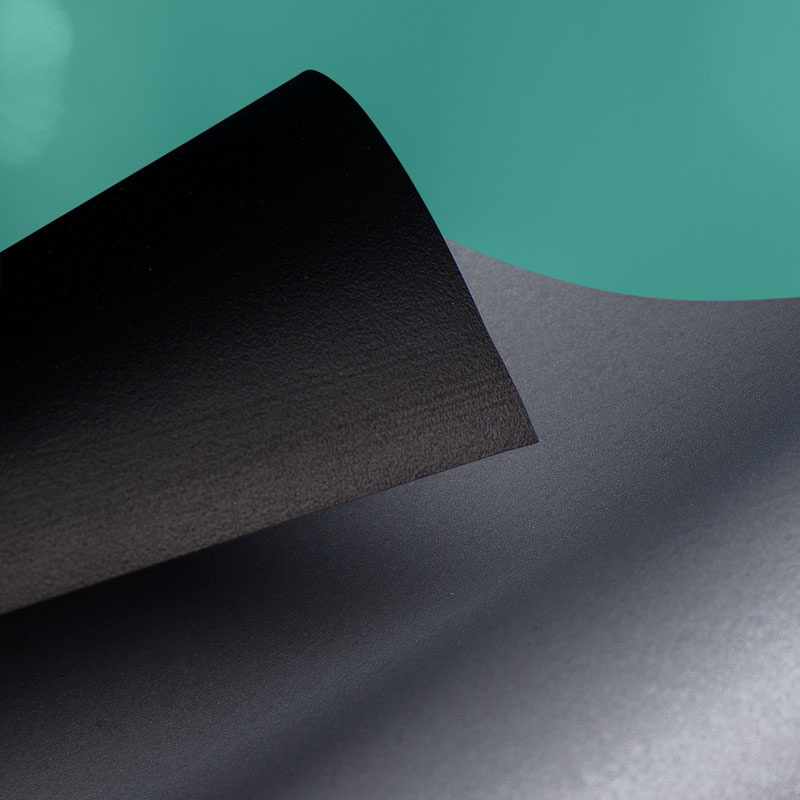 Lower gain surfaces offer excellent uniformity across wide viewing cones, for excellent edge blending and consistent reproduction with short throw projectors. Higher gain surfaces offer a more brilliant display in a variety of settings. * Gain is a measure of reflected or transmitted brightness as compared to a block of magnesium carbonate, which serves as the industry's standard for gain of 1.0. A more familiar "real-world" comparison is with a matt white projection screen. Most matt white screens have a fairly uniform light distribution pattern with gain of approximately 1.0. Screens that appear brighter on axis are concentrating reflected light in a narrower area: the gain may be 2.5 on axis but 0.5 at 60° to the side. 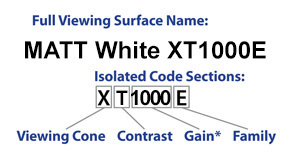 Some viewing surface codes include an E or V suffix after the gain number. E: Indicates a self-supporting viewing surface that is part of the OptiView family and/or suitable for Draper Series E non-tensioned screen models. V: Indicates the surface is part of our OptiFlex family of tensioned surfaces and/or suitable for Draper Series V tensioned screen models. TecVision’s carefully formulated surfaces offer unparalleled performance with individual features that set them apart. Each surface has lower gloss levels and more consistency for better brightness uniformity. The TecVision family offers four ambient light rejecting (ALR) surfaces for optimal image contrast and saturation in spaces with lighting. All gained white surfaces have extremely wide off-axis performance, which provides a huge savings when compared to the cost of purchasing a brighter projector. Each surface has black backing to prevent picture degradation caused from light behind the screen and are available in sizes up to 23’ x 69’ (7 m x 21m). There is a surface to meet the needs of every application within the TecVision family.